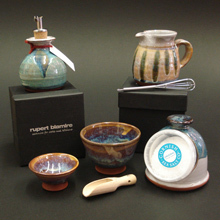 Moorland Pottery produces quality ceramics in the heart of Stoke on Trent. At Lenscape we bring you “Elf” figures, ceramic bells each piece lovingly created by hand by Lucia and Edita at a ceramic studio in the Czech Republic. Collect an individual “Elf-work” and we guarantee that when we say it is from a dedicated artists’ hands we mean exactly that! Based in Devon, their jewellery workshop is the heart of Banyan where all the great ideas and inspiration become reality. Once perfected, a new design is then produced by a team of silversmiths. Thereby, they are able to offer the ultimate combination of hand-made, original jewellery at highly competitive prices. 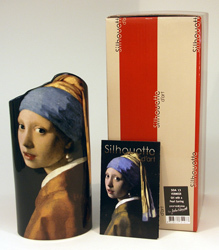 Beautifully presented in a sturdy little black box (10cm square), the perfect gift idea - £19.95 each. They make everything by hand on a potters wheel. Each piece you see is unique and varies from the one before. They like to make lovely pots and hope that you can get as much pleasure in using them! 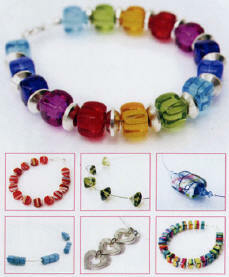 Carrie Elspeth has been designing and hand-making beautiful beaded jewellery in the Heart of South Wales. Carrie sources her beads from all over the world, keen to discover unusual and ethically-made examples which complement the contemporary styles of designer accessories that she produces. Carrie Elspeth jewellery uses a wide variety of beads, including recycled glass, wood, crystal, pearl, silver, pewter, paper and bespoke glass pieces produced exclusively for Carrie’s designs. Every piece is still handmade in Wales, to the exacting standards of quality that Carrie has insisted upon from the outset. our brand new Luna London jewellery collection. Contemporary pewter designs and stunning colour combinations in smart branded Luna London packaging. The gift range includes a well priced range of pewter pebbles and tokens. Ideal as top up gifts for Christmas pressies for family, school friends and teachers. Don't forget our range is designed and handmade in the UK too! Beswick a long established British ceramic company has joined with Parastone, also a long established Dutch art company, to produce this range of quality ceramic vases. 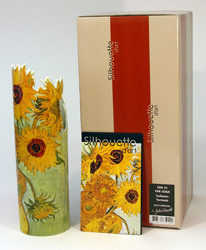 Based on the work of some of the most famous artists of the 19th century, Claude Monet, Vincent Van Gogh, katsushika Hokusai and Gustav Klimt. Each BottleClock is made from a genuine bottle and label and has a convenient hook for wall hanging. Due to manufacturers variations in bottle size and labels and the handcrafted nature of the product no two bottleclocks will be identical.